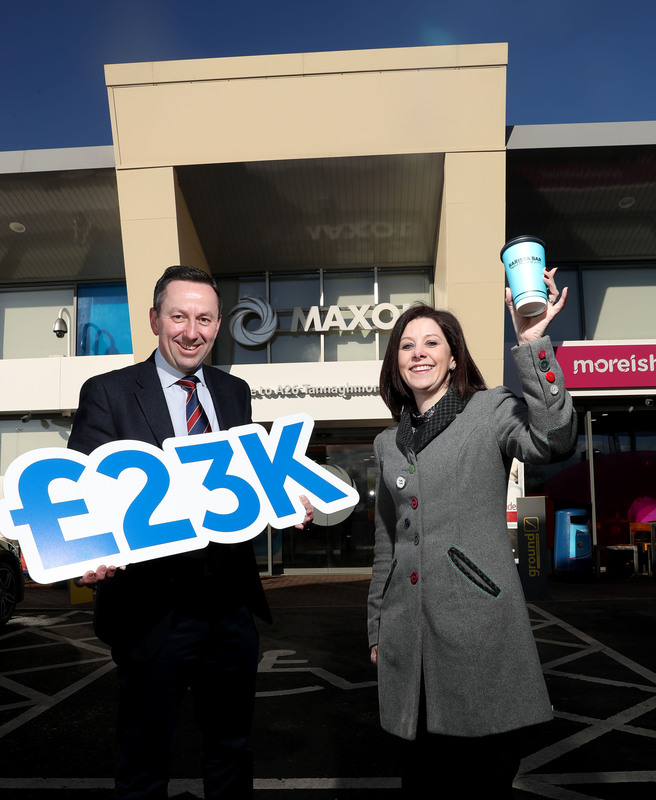 Maxol, Northern Ireland’s leading family-owned forecourt and convenience retailer, is delighted to announce that with the help of staff and customers, they raised £23,000 in Northern Ireland for charity partner, AWARE. Brian Donaldson, Chief Executive Officer at Maxol, said: “We’re extremely proud of our partnership with AWARE and are delighted to have raised these much-needed funds for them. We also want to thank all our fantastic staff and loyal customers for their continued support and for getting behind our top up by 10 pence and coffee fundraising campaigns. It is truly because of them that we’re able to support AWARE in this way. Karen Collins, Chief Executive at AWARE said, “Thank you to all the Maxol customers and staff who contributed to the fundraising campaigns during the Summer and at Christmas and helped raise such an extraordinary amount of money for AWARE. We’re very grateful to Maxol for providing us with fantastic fundraising opportunities and helping to raise the profile of AWARE. Maxol ran companywide fundraising initiatives to raise money for AWARE NI including ‘Top up by Ten’ in the summer and the Christmas Coffee Cup Campaign in November and December. AWARE is the Depression Charity for Northern Ireland. AWARE provide information, education and support on the illness of depression and deliver number of wellbeing programmes into schools, workplaces and communities across Northern Ireland. The funds raised by Maxol will go towards helping AWARE increase awareness of positive mental wellbeing in local communities and help to provide support groups and education programmes across the country. To find out more about Maxol and their partnership with AWARE, visit www.maxol.ie.